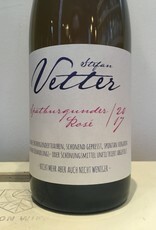 A biodynamic Spätburguner (pinot noir) rosé from the frontlines of the natural wine movement in Germany and uplifting the wines of Franken. Stefan Vetter is f-ing punk rock. 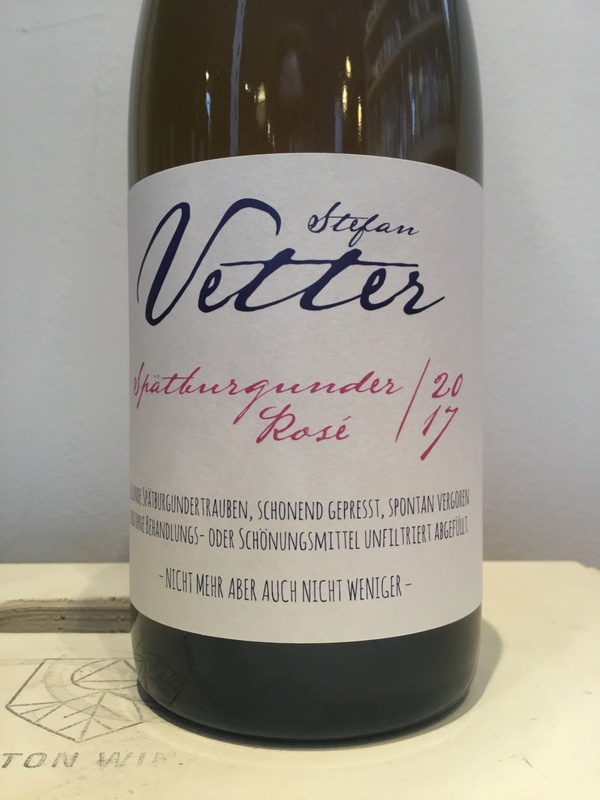 Stefan is at the forefront of the natural wine movement in Germany. As such, he farms both organically and biodynamically, as would be expected. As he works only old vines, only in steep, terraced sites and everything is done by hand. Pressing is done gently with either an old screw press or a basket press and can take four to six hours. For the most part, Stefan picks earlier, looking for ripe, clean grapes with higher acidities.The juice may see a short bit of skin contact, but for the most part it is just moved directly into old barrels – or one of the few newer 300 or 600-liter barrels Stefan has acquired directly from Stockinger. During the élevage, the wines are topped off, but that’s about it.The wines are bottled without filtering and with a minuscule addition of sulfur for stability.